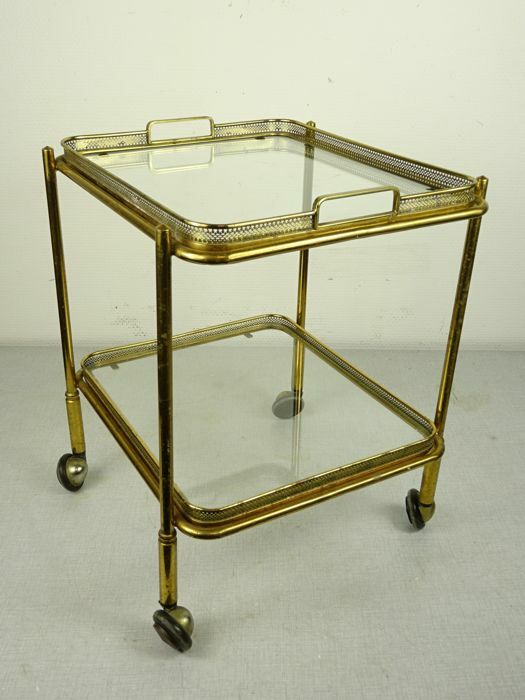 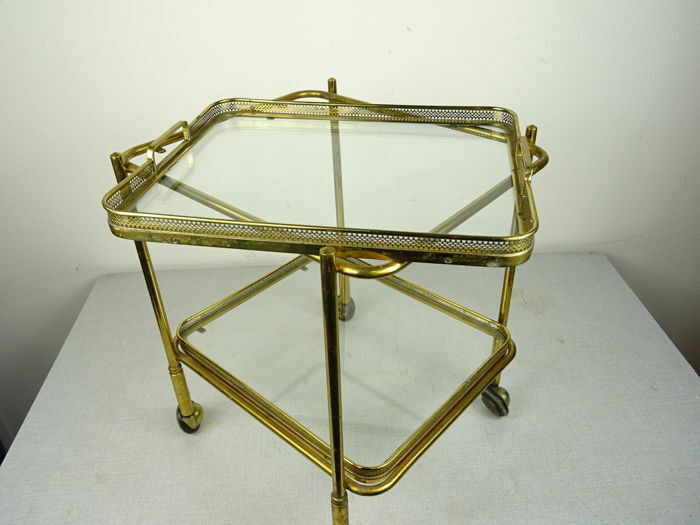 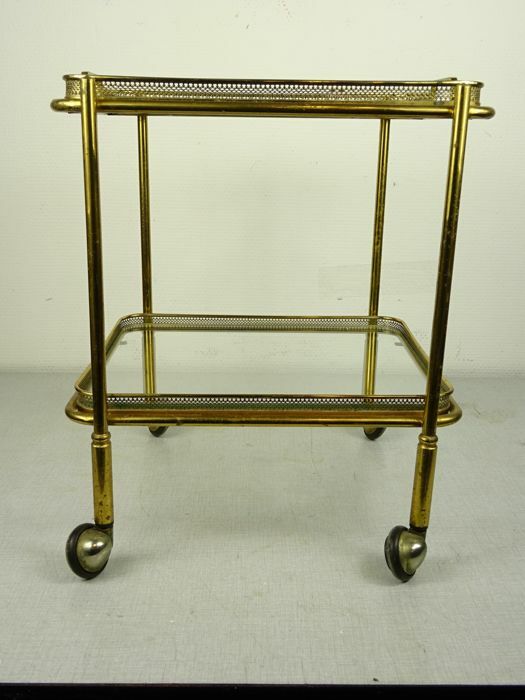 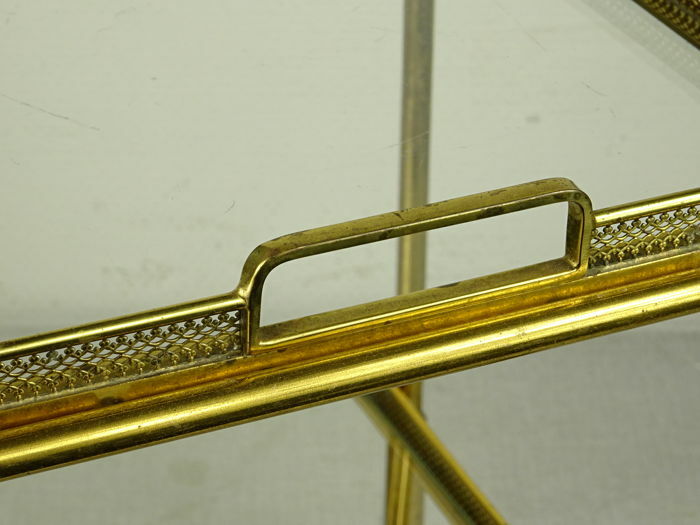 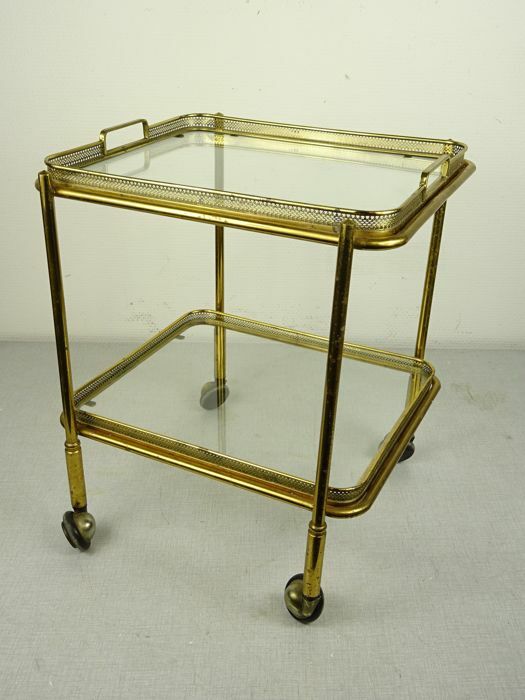 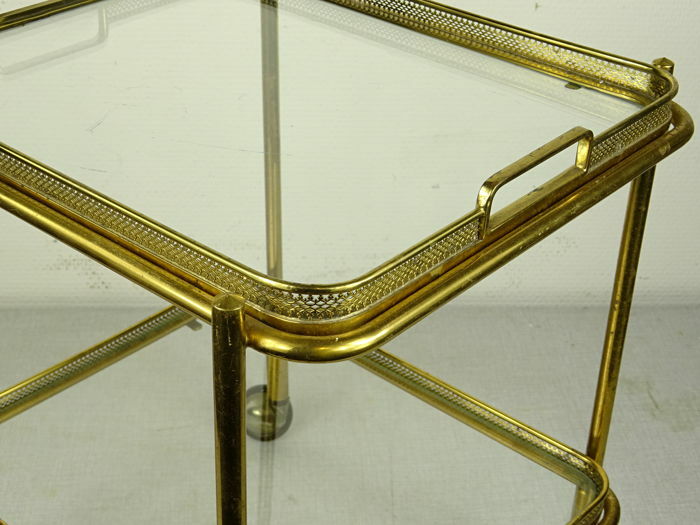 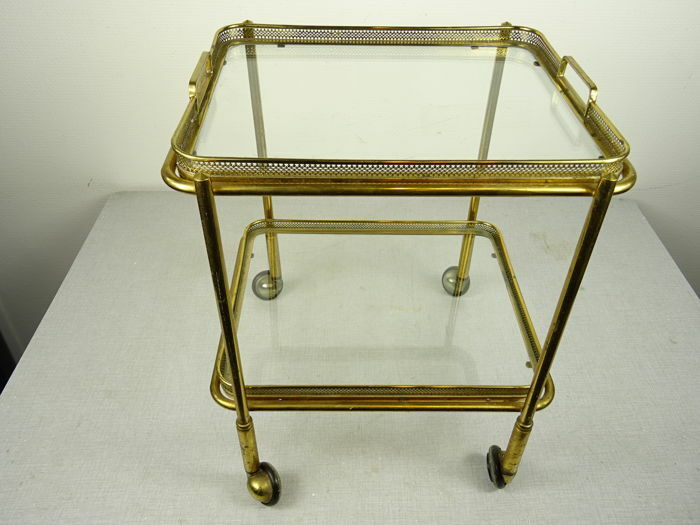 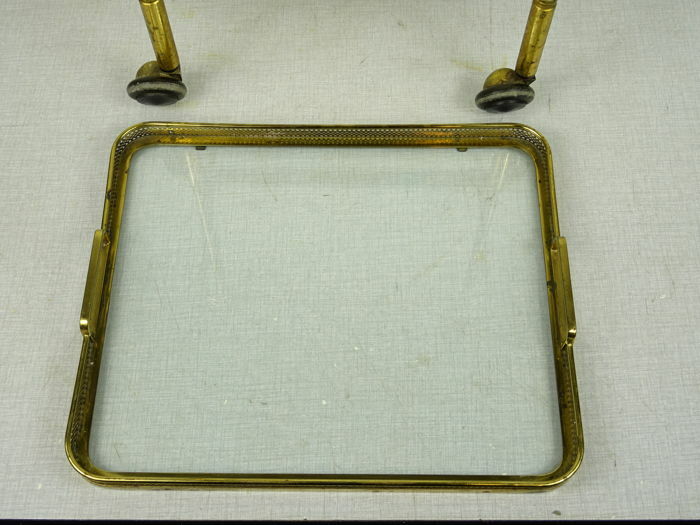 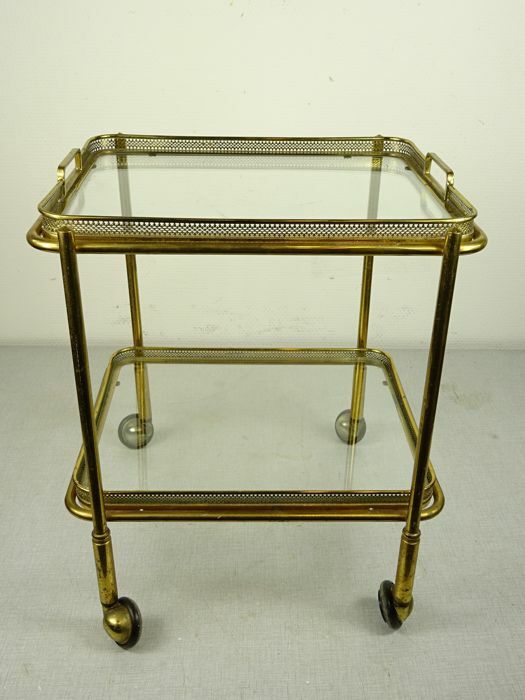 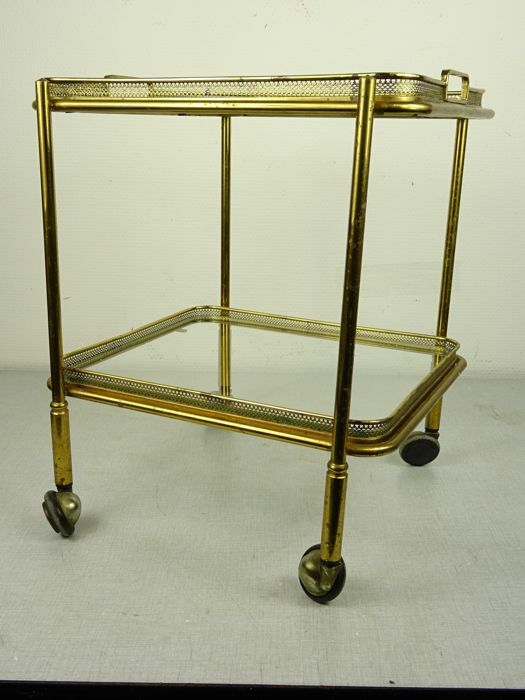 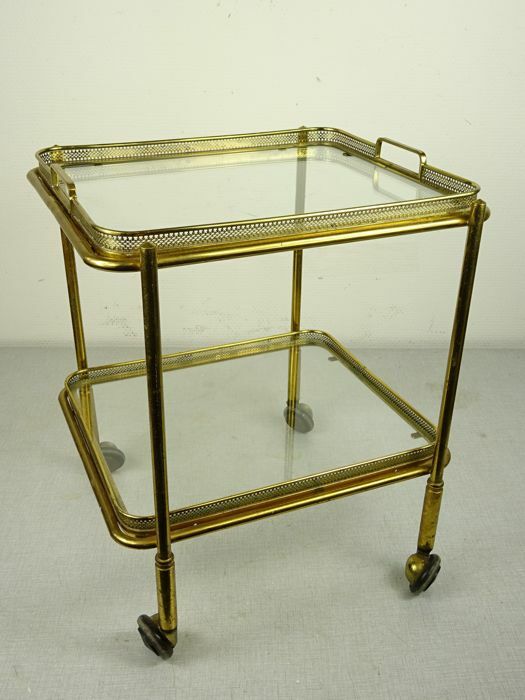 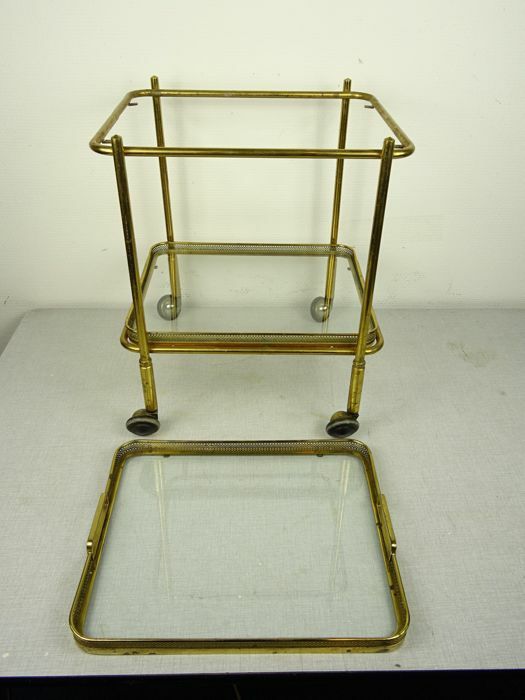 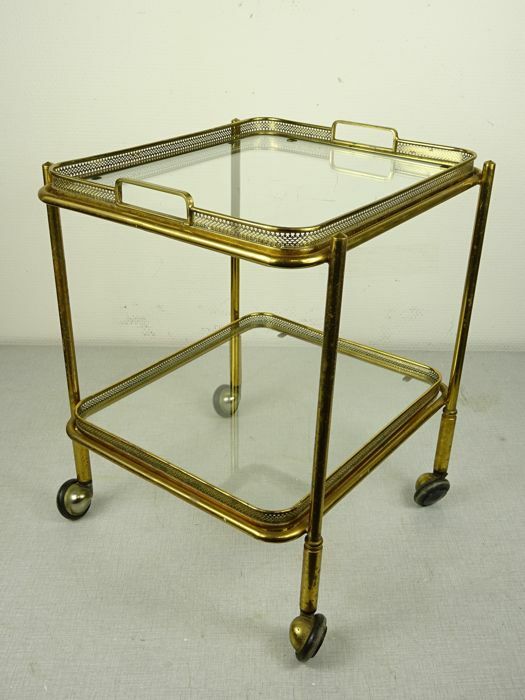 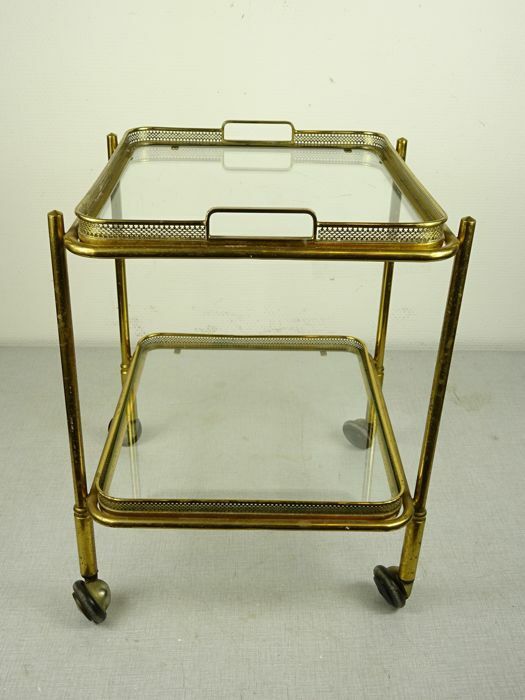 A fine brass and glass serving trolley with swivelling wheels, the top tray detachable to be used as a serving tray. 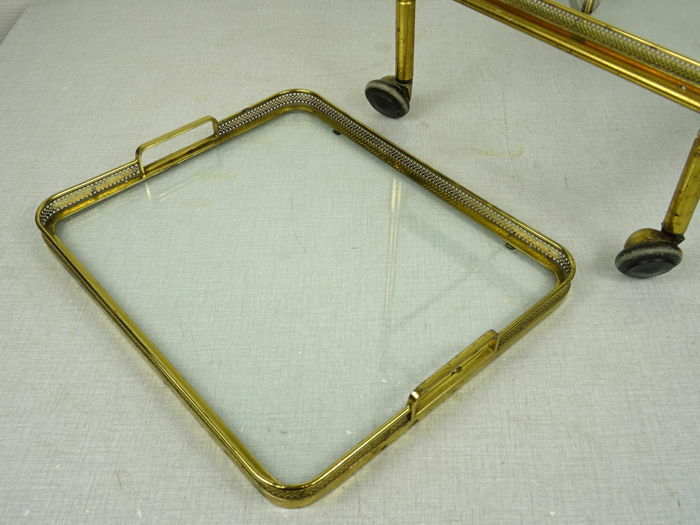 Condition: Very good, no damages. 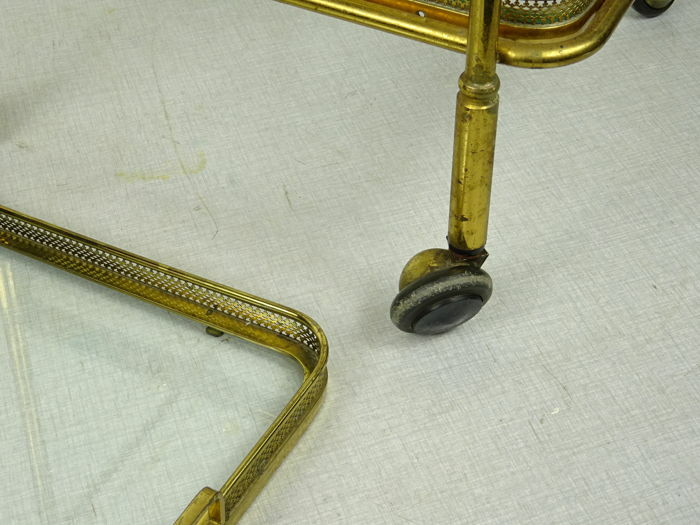 Minor wear associated with age. 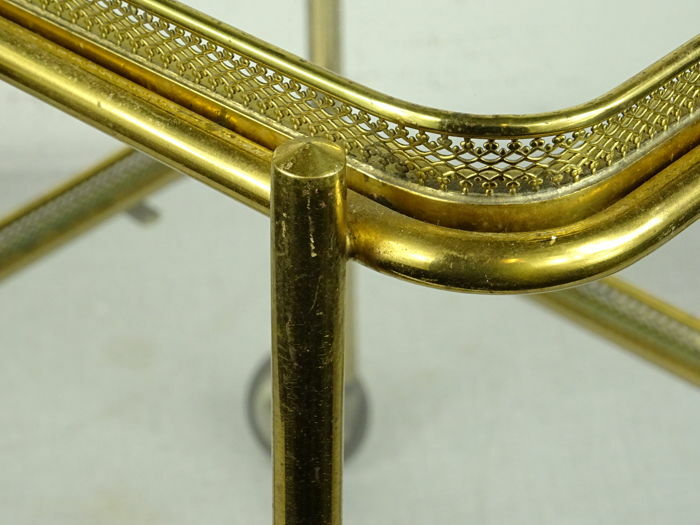 Minor scratching and scuffing.